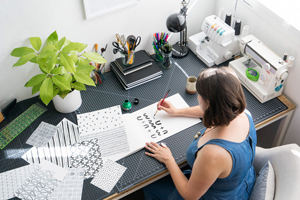 It’s always exciting to see Cotton & Flax getting a little press, but I am such a huge fan of Design*Sponge that it feels extra flattering to find some of my work featured there. 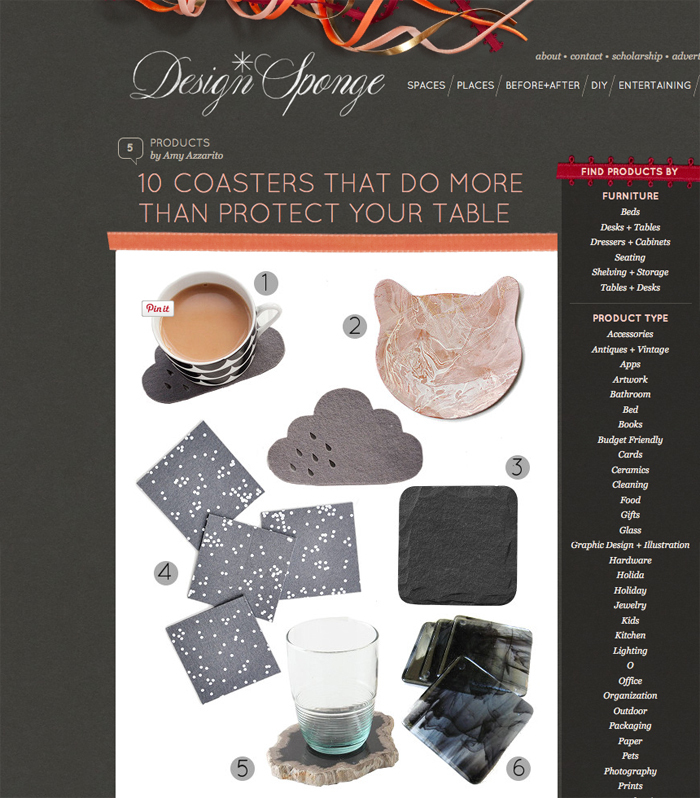 Check out our Charcoal Confetti coasters in their roundup of coasters that do more than protect your table. 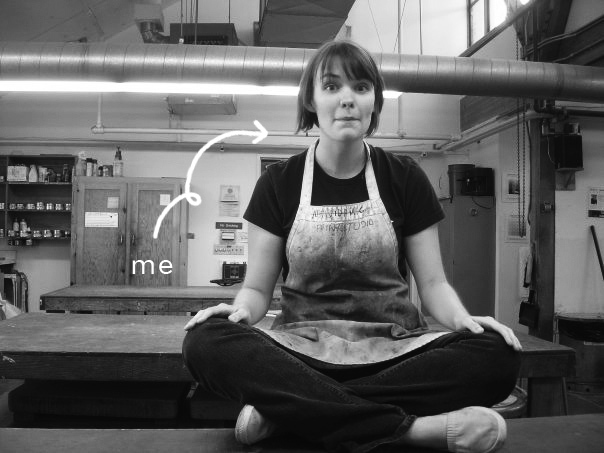 I was delighted to be featured on Handful of Salt this week! The interview for this profile was a little intimidating – a 45 min phone interview talking all about my process and how I approach my business. Afterwards, I was surprised by how easy it had been to talk about my work, I could have gone on chatting with Meghan (an editor for Handful of Salt) for much longer. 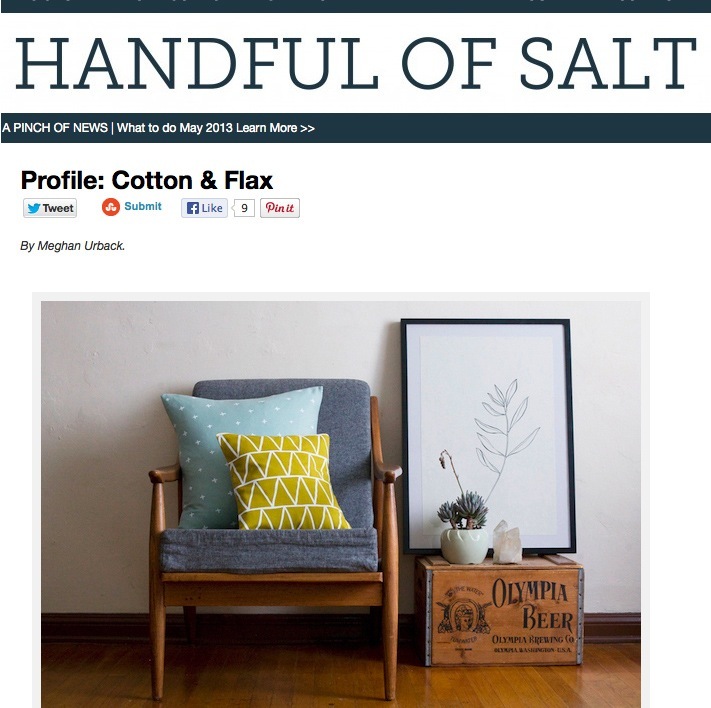 Check out the profile on Cotton & Flax here. My interview for Pennyweight Goods, where we talked about my work process, and daily life in LA. 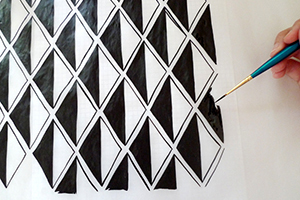 My interview for Standard Magazine, where we get into the details of whether my work is art, design, or craft. My interview for Being Elliott, where we talked about inspiration and the one item I think every home should have. I’ll be sure to post here next time I’m interviewed, sorry for holding out on you for so long! 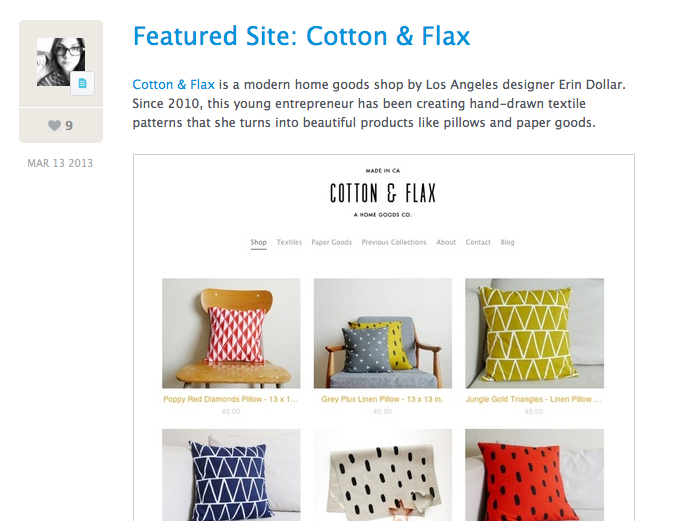 Virb kindly featured Cotton & Flax on their blog as their site of the week! 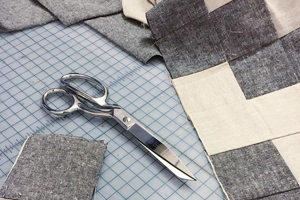 I built the Cotton & Flax website using Virb, and I’m delighted that they are highlighting the site. Check out their post here, and visit the Cotton & Flax portfolio site, which recently got a little facelift! 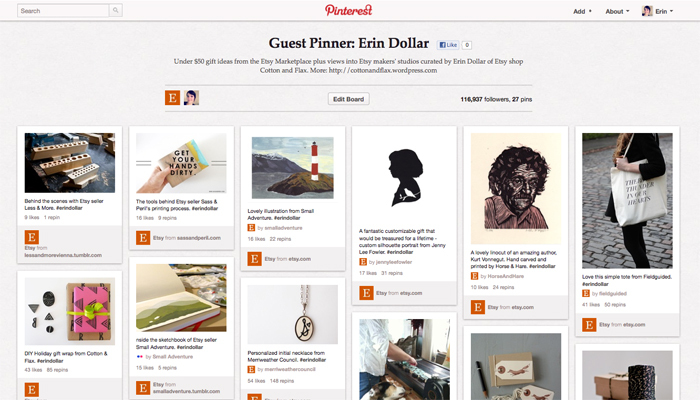 I’m the featured guest pinner for Etsy this week over on Pinterest! About half of my picks are posted already, but still lots to come before the weekend. Follow along here! Just wanted to post a link to my guest post on the Whipup blog, which went up this week. 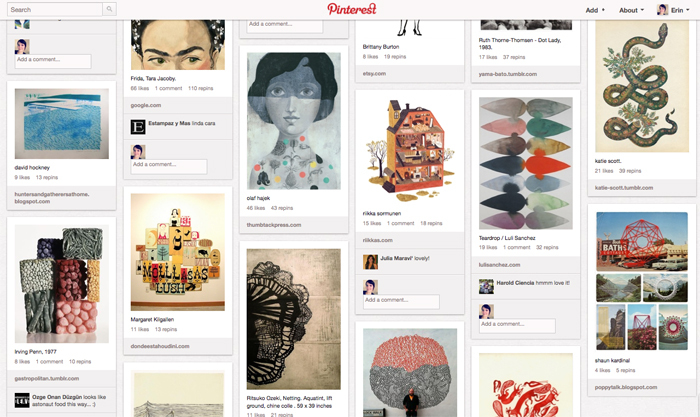 I talk about the 21st century phenomenon of “Visual Overload,” and how easy it is to become overwhelmed by the incredible amount of beautiful imagery on the internet (and yes, Pinterest is mentioned). Check it out here.